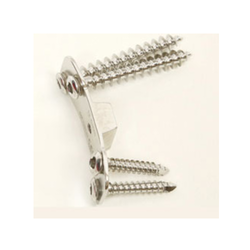 Pioneers in the industry, we offer biddu high tibial a/p sloped osteotomy plates from India. BIDDU High Tibial A/P Sloped Osteotomy Plates is defined as an opening wedge and sloped plates that are required to maintain the normal anatomy. These have become primary tools required for the examination of tibial osteotomy.